We have written this webpage for you... so that you’ll know what to look for – and what to look out for – when deciding upon a moving company. You have a difficult decision to make. In the coming days or weeks, you’ll select a mover to pack, load and transport your most valued possessions to your new home. I think you may be surprised to learn how different moving companies can be from one another. Here’s a short list of things that have actually happened to people right here in New Jersey. A family hired a moving company to transport their belongings to a storage facility. When they arrived at the storage facility, the moving company workers demanded an additional $2,000.00 in cash before they would unload the family’s possessions. In November 2014, the New Jersey State Police teamed up with the NJ Division of Consumer Affairs, U.S. Immigration and Customs Enforcement and the U.S. Department of Transportation's Federal Motor Carrier Safety Administration to perform a sting operation against unlicensed moving companies. This operation led to 10 arrests. Seven were arrested for being in the U.S. illegally. Some of these, and others arrested, had outstanding charges like possession of a loaded firearm, theft, disorderly conduct, and sexual abuse against a minor. Do YOU want these kinds of people in your home... handling your most treasured belongings... being close to your family? In July 2015 the NJ Attorney General’s Office announced it cited eight unlicensed moving companies that targeted Asian and Latino communities. If the authorities are allocating time, money, and resources to go after these rouge operators than I am sure these rouge operators must be harming many consumers. A family got an estimate over the phone to move their belongings 56 miles to their new home. They had never met or spoken to the movers who showed up on moving day. After they arrived the consumer was informed that the move would cost three times as much as the estimate. A moving company worker fell while carrying a heavy dresser down a flight of stairs. Because the mover was unlicensed and didn’t carry the required insurance, the homeowner ended up being responsible for the workers’ medical bills. Situations like this could drag you into court because an uninsured worker decides to file a lawsuit against you. Moving companies haven’t always had the best reputation. You may have heard stories like these – or worse – from your neighbors and friends. You can find all kinds of horror stories by searching on the internet. Movers who never showed up on moving day – and were never heard from again after being paid a large deposit. Furniture that was badly damaged, with no reimbursement to the customer. Valuable items that were lost in transit, and are somehow missing from the inventory list. Belongings being held hostage by dishonest movers demanding thousands of dollars in cash before unloading the customer’s possessions. Or the nightmare odyssey that took twice as long and cost three times as much as promised. Because it’s easy to buy or rent a truck and hire some strong backs, it’s an attractive business for people who are looking to make a quick buck. Unfortunately, these dishonest movers can hide behind a professional looking website or a well written Craigslist ad. It’s up to you to do your homework to avoid becoming another victim. Before you give everything you own to someone you don’t know, spend just a few minutes reading the information I have prepared for you on this website to make sure you’re dealing with a reputable, licensed moving company. Reputable companies that follow a strict code of ethics, handle your belongings with care, treat you with respect and consideration, and stand behind their work. The fly-by-night operator; the guy who may seem friendly but cuts corners by hiring untrained workers without performing a background check, not packing your belongings the right way, or not being properly insured. There are many movers here in New Jersey that operate illegally without a license. A lot of them are found advertising on Craigslist, Yelp, and other internet sites. Let me explain why it’s so important that you use only a licensed mover. In order to be licensed, a mover must comply with the regulations that protect you, the consumer, against unnecessary risks. If you use an unlicensed mover and there’s a problem, it’s very difficult to find help to resolve your matter. Licensed movers are required to carry insurance that protects you. How can this effect you? Let’s say the worker is carrying a heavy piece of furniture down the stairs and slips. Without Workers Compensation Insurance, you can be very well on the hook for the workers medical care. What about Property damage to your residence? This can result in very costly repairs. What about your personal belongings? Without the option of insurance, you won’t be covered for any damage to your personal belongings either. Licensed movers are required to provide you with certain information, like a written estimate, and certain paperwork and literature. Reputable movers want you to be informed. Unscrupulous movers would rather you be uninformed. You can click here to confirm the company you are considering is a licensed moving company. and SELECT - Public Movers and Warehouseman in the profession dropdown. In order to perform a local move within NJ a company needs a NJ PM (without storage) or PC (with storage) license number. A company with only a DOT number does not allow them to perform moves within NJ. Do you have trained employees who have been screened? Unlicensed movers use day laborers without the proper training and with a-who-knows-what kind of background. A sting operation in New Jersey targeting unlicensed movers identified individuals that had outstanding warrants which included an individual with child molestation charges and others which had ties to gangs. Don’t risk your family’s safety by hiring a mover that doesn’t perform background checks on their employees. Good people keep their distance from a certain element of society so why be foolish and open the door of your home to a potential criminal. Are you a member of your industry association and the Better Business Bureau? Membership in an industry trade association demonstrates that a company is licensed and is committed to continuous improvement to better serve their customers. The local association is the New Jersey Warehouseman’s and Movers Association. The National Association is called AMSA (American Moving & Storage Association). Membership in the Better Business Bureau shows a company’s commitment to ethical business practices. The BBB exists so that consumers have an unbiased source to guide them on matters of trust. Do you have 10 or more references that I can call? 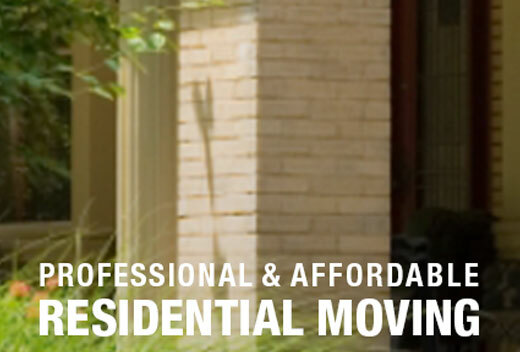 Any reputable moving company will have plenty of references that you can call. If a moving company only gives you three or four, be careful. It’s not uncommon for businesses to use their friends and relatives as references. Do you require a large deposit? The old adage is really true, “you get what you pay for”. This is especially true with moving companies. Unlicensed and lower caliber movers might offer to move you for a little less money than a reputable mover like us, but where are they cutting corners? To give you a cheaper price they might hire untrained day laborers, not carry insurance, utilize rental trucks without the proper blankets and equipment and handle your belongings with a minimum of care. Plus they might demand more money after your possessions are on their truck, and you will end up paying as much-or more-than if you had used an honest mover with the proper labor and equipment. No amount of money is worth this misery. You’ve worked too hard and invested too much money in your valuable possessions. Why throw it away for the few bucks you save on poor service provided by a dishonest want-to be-mover. We have written a more in-depth booklet called “What Everybody Who’s Planning a Move Ought to Know When Hiring a Moving Company”. This booklet gives you even more details about what to look for in a mover. Plus it gives some tips about saving money on your move, and some tips from our employees about how to pack your boxes to avoid damage. If you want great service by a well-qualified, reputable moving company that can deliver the worry-free move you desire – professionally and on time – than I invite you to call us.